A couple of weeks ago, I was talking about my many hands. 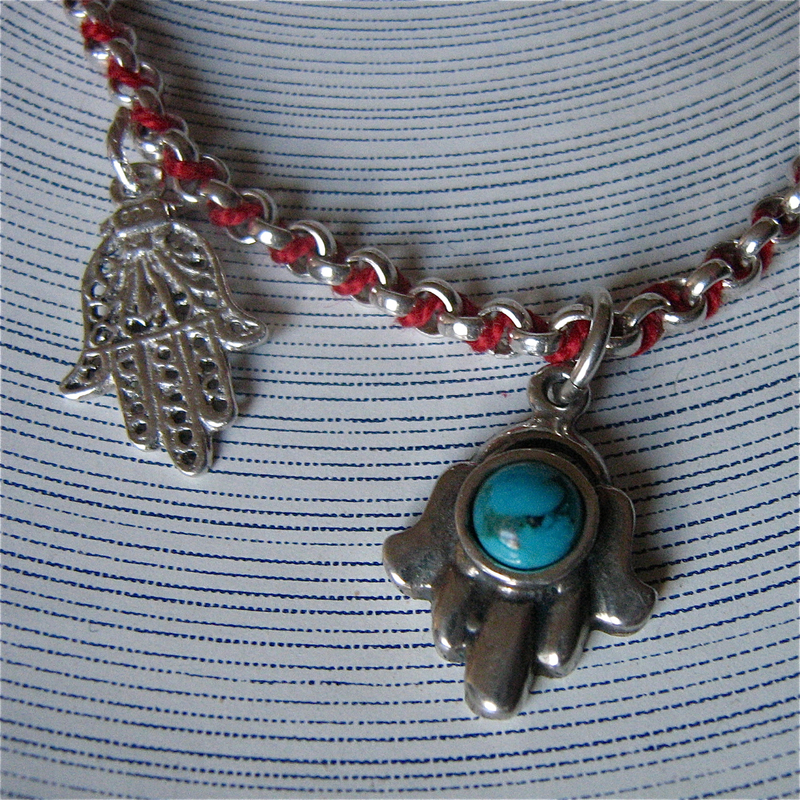 Here’s another main main from my jewellery box — a silver bracelet with two Hamsa charms. This palm-shaped talisman is used to protect the wearer from the evil eye. The bracelet itself is also threaded with a red Kabbalah string to further ward off danger. Of course the cord has mostly unravelled since I took this picture. And I’m not really that superstitious (I’ve been wearing the bracelet on the wrong wrist, for example, because my left hand is reserved for watches). I just like hands!